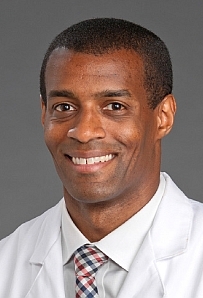 Dr. Aerik Williams MD, MPH grew up in Columbus, Ohio and received his undergraduate degree from Johns Hopkins University. While at Johns Hopkins he excelled both academically and athletically serving as a 2 year captain of the varsity soccer team. Following his undergraduate studies he attended The Ohio State University where he earned his medical degree and a Masters in Public Health. Dr. Williams was a classmate of Dr. Frank Lichtenberger at The Ohio State College of Medicine, and shares his passion for Allergy/Immunology and his commitment to patient-centered medicine. 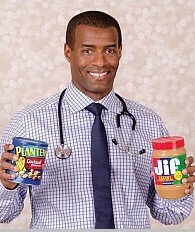 He completed his Internal Medicine residency at Thomas Jefferson Hospital where he also served as a chief resident. His Allergy and Immunology fellowship training was done locally at Wake Forest. Dr. Williams has published literature in The American Journal of Medicine and BioMed Research International. In addition he has published and presented multiple abstracts at national Allergy and Immunology meetings. In his free time, Dr. Williams enjoys playing soccer and spending time with his wife, son and Willa the English Bulldog!